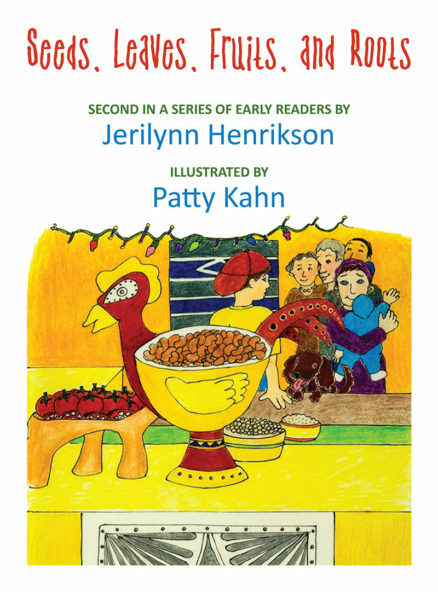 An early readers series by Jerilynn Henrikson. Save $10 when you purchase all 3 books! Learn more about each book! 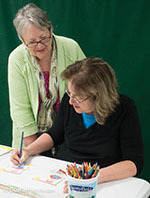 Jerilynn Henrikson is a retired English teacher, current grandma, and a native of Emporia, Kansas, which hugs the rolling Flint Hills of east central Kansas. She loves traveling with hubby, Duane, tending her garden, cuddling her corgi, cooking for grand kids, and writing stories. After retiring from teaching, her passion for reading, writing, and telling stories resulted in spending more time writing tales based on observations of kids, animals, family, … life in general. Her writing is flavored by a love of nature and her sense of fun. She is inspired by what lies beyond the present, into the past and future. 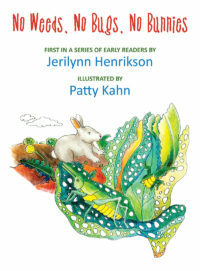 Visit the author’s website, Tales from the Prairie Patch Works! Jerilynn Henrikson and Patty Kahn have teamed up to create a series of early readers featuring Joe and his adventures with gardening. Any gardener knows that planting a garden takes determination. It seems problems always come up like weeds… or bugs… or bunnies. Follow gardener Joe in his three book journey as he learns more and more about the joys of planting, growing, and harvesting, and young readers learn more and more about the joys of learning, growing and reading! These books are beautiful designed hard cover books. Books are also available through Amazon and BN or ask for it wherever books are sold. 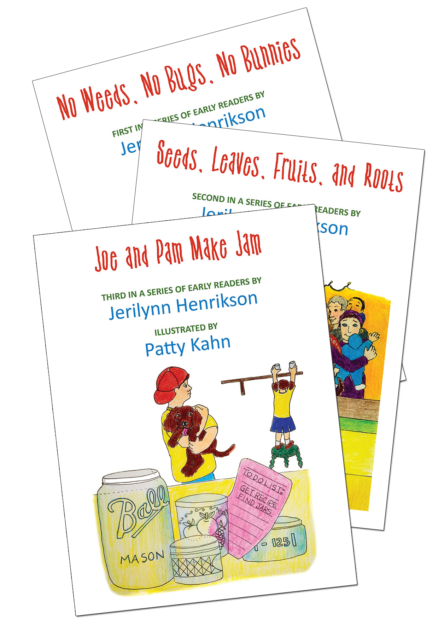 • Joe and Pam Make Jam.